December 22, 1942 - May 21, 2018 Lynn Hamersly passed away on May 21, 2018 surrounded by love and family after her battle with cancer. Lynn Hamersly passed away on May 21, 2018 surrounded by love and family after her battle with cancer. Lynn was born on December 22, 1942, the daughter of Floyd G. Rathbun and Betty J. Rathbun of Wasco, Oregon. Lynn was raised in Wasco growing up on her family farm, riding horses every day. After graduating from Sherman County High School in Moro, Oregon Lynn moved to Monmouth, Oregon to attend Oregon College of Education, now Western Oregon University. As a student she met and married Wayne M. Hamersly in 1963. After graduating in 1964, Lynn and Wayne settled in Milwaukie, Oregon where Lynn was an outstanding member of her community and actively involved in her alma mater. 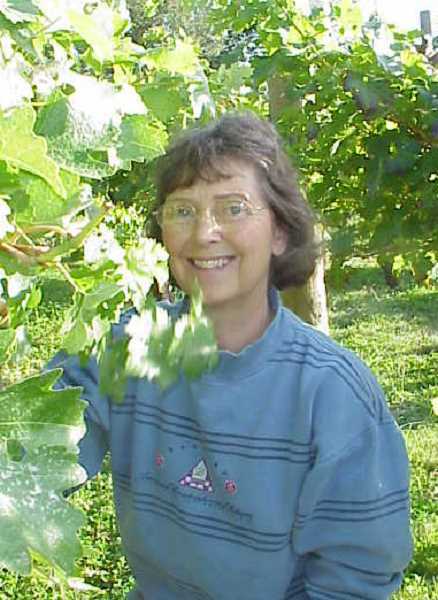 Lynn possessed a unique spirit of stewardship that she and Wayne used to better their community. The Northwest Autism Foundation, the Hamersly Library at Western Oregon University, and the Hamersly Family Library at La Salle Catholic College Preparatory are products of their kindness and generosity. Lynn's generous heart, patience, and intelligence led to a successful career as an educator. Lynn taught a Women in Transition class at Mount Hood Community College helping women complete their GED and learn life skills. Along with empowering women, Lynn championed students of all ages and backgrounds, she read scholarship applications for both Clackamas Community College's Scholarship Foundation and North Clackamas District 12 and regularly attended WOU alumni and campus events. Her dedication to education and her philanthropic spirit earned her the Western Oregon University Alumni Award of Excellence this past year. Lynn was just as passionate about her family as she was her community. Lynn loved raising her three children and watching her grandchildren's countless games, performances, and achievements. Lynn could be counted on to pass on her talents as a cook, seamstress, academic, gardener, and homemaker to her children, grandchildren and friends. Lynn is survived by her husband Wayne; her children Scott, Michael, Carole (Stiles); her seven grandchildren: Lexi, Tate, Kipp Hamersly, Ben and Anna Hamersly, and Michael and Thomas Stiles; and her siblings, Sue (Phelps) Lee, and Floyd Rathbun. We are indebted to Providence Healthcare and Golden Age Living for their compassionate care during Lynn's final days. The celebration of Lynn's life will be held on June 9, 2018 at 11 a.m. at St. John the Evangelist Episcopal Church in Milwaukie, Oregon, 2036 SE Jefferson St., Milwaukie, OR 97222. Parking is available at Milwaukie High School or in downtown Milwaukie. Memorial donations in memory of Lynn may be made to Western Oregon University, 345 Monmouth Ave. N., Monmouth, OR 97361 and the Northwest Autism Foundation, 519 Fifteenth St., Oregon City, OR 97045.